Join us in putting kids on the road to success. For orphaned kids, education can be the defining factor in determining success. For many of these children, well-built, reliable transportation to school can mean the difference between a lifetime of grinding poverty and a successful, self-sufficient future. We partner with organizations that work in poor communities caring for orphaned, at-risk children. When we give one of their children a bicycle, we ensure that they can get to school and back safely, transforming not only their individual lives but their communities as well. We work in Kalimpong, India, in Phnom Penh and Battambang, Cambodia, and in Doi Saket, Thailand, helping our partnering organizations care for more than 700 orphaned children. In some of these areas, only 20% of children complete the 8th grade. Orphaned children are even less likely to enter high school; without an education, many are trafficked to work in factories, fields and brothels. For primary and secondary students, we partner with Asia’s Hope to buy dependable cycles that are easily-repaired and are built to withstand the rough roads these kids take to school each day. Sourced and assembled regionally, every bike purchase is an investment in the local community. You can buy a whole bike, or you can buy a frame, a wheel or crank — together we can help our partners break the cycle of poverty. For university students, we purchase rugged, reliable motos designed to last for decades when properly maintained. Each moto can be shared by up to three students, and provides safe transportation for hard-working youth on the verge of successful adulthood. You can buy the whole moto, the chassis, the engine or a wheel. Together we can put these young scholars on the road to a brighter future. 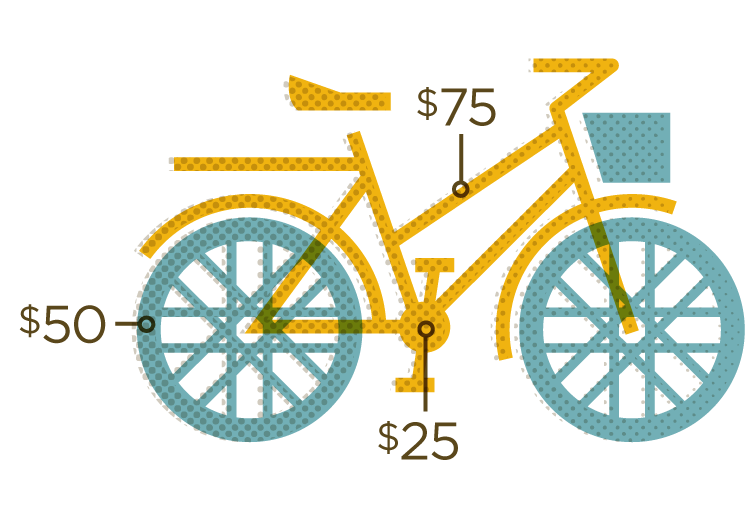 There are many ways you can help beyond buying bicycles. On Facebook, Twitter, and tell your friends and family. The more people who know about us, the more bikes we can provide. Our social media links are below, in the footer. If you feel like you have time or talent and wish to contribute by partnering with us please contact us with this form and we will get right back with you. 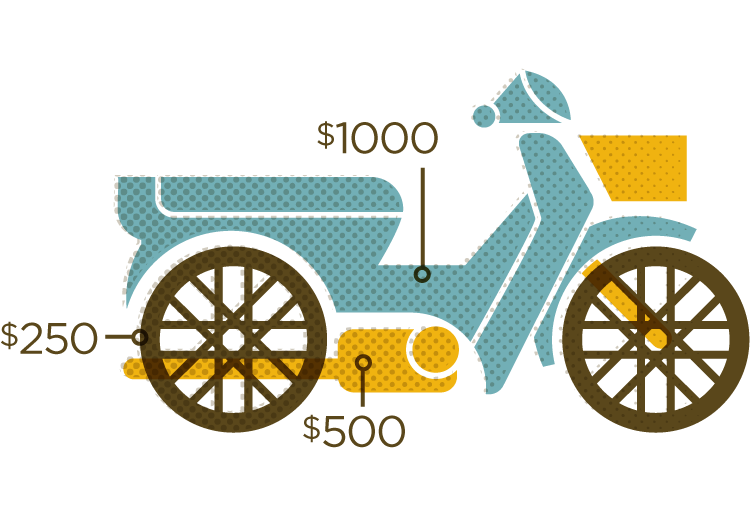 We are a 100% volunteer initiative and 100% of the bike and moto donations go to Asia's Hope toward purchasing them for the children. It's not cheap to host the site, print brochures and get the word out, so please support us by buying a "tool" to help keep us up and running.